THE CIMPLE CO, A Family Company located in the USA, is proud to offer this high quality pocket toner and continuity tester. 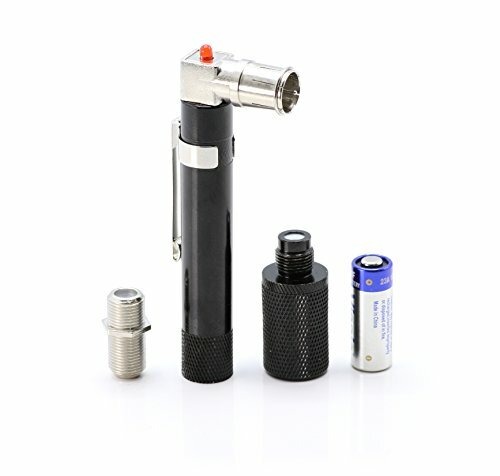 This tester is great for identifying lines for labeling, connecting systems, and other situations that you need to locate which coaxial connection is which. This tester includes a red light indicator for when the coaxial cable has a DC short. This can happen if a non-DC splitter is installed, a self-grounding device is installed, or if the cable has a direct short (such as staple or nail through the center).